Nola.com reports that Girls Scouts Louisiana East welcomed national CEO Anna Maria Chávez to its headquarters in Jefferson on July 24 to speak about the opportunities and challenges that are facing Girl Scouts across the country. 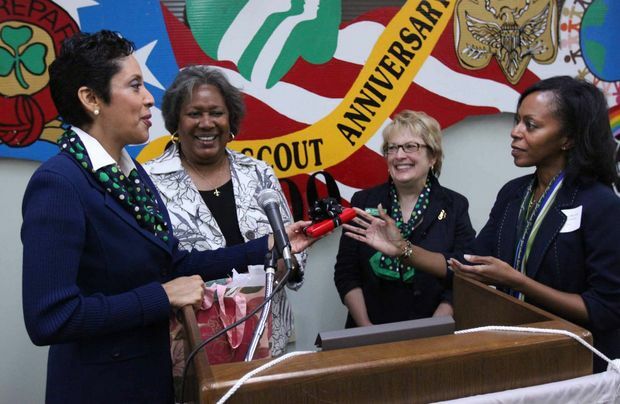 Chávez, who is a lifetime member of Girl Scouts and the former CEO of Girl Scouts of Southwest Texas, said the organization has been undergoing a transformation since 2005 to stay relevant to the communities that it serves. 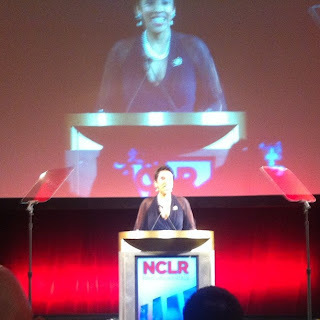 Chávez was in New Orleans the night before, being honored by the National Council of La Raza (NCLR) with its Graciela Olivarez La Raza Award at the organization’s annual convention. Marianne Addy, vice president of communications and marketing of Girls Scouts Louisiana East, told Nola.com she believes that the Girl Scouts of New Orleans are in especially unique positions to be leaders. “We want to get these girls involved in Girl Scouts at a young age to have service be a part of their DNA, and for them to seize the opportunities to be problems solvers to address the problems in our community,” Addy said. Last year, Girls Scouts Louisiana East served nearly 16,500 girls and 7,000 adults in its 23 parishes. Two of those Girl Scouts were present at Wednesday’s luncheon as recipients of the Girl Scout Gold Award, the highest achievement within the organization that requires at least 80 hours of community service.